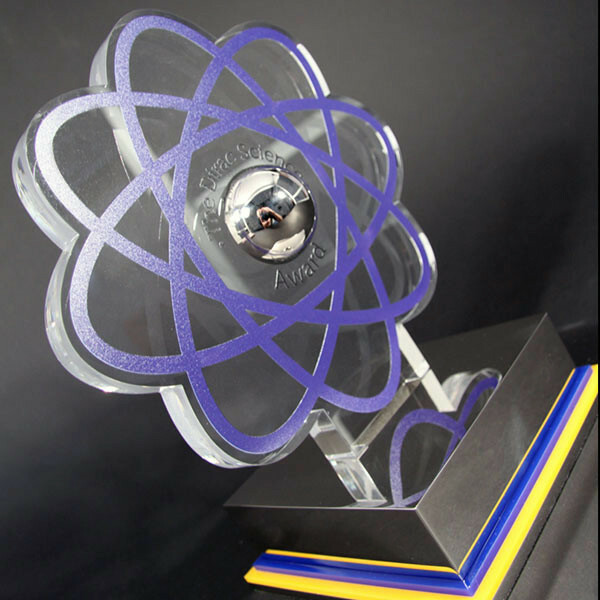 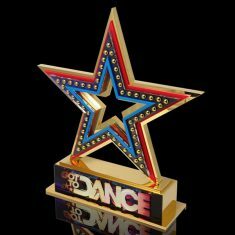 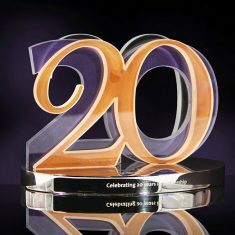 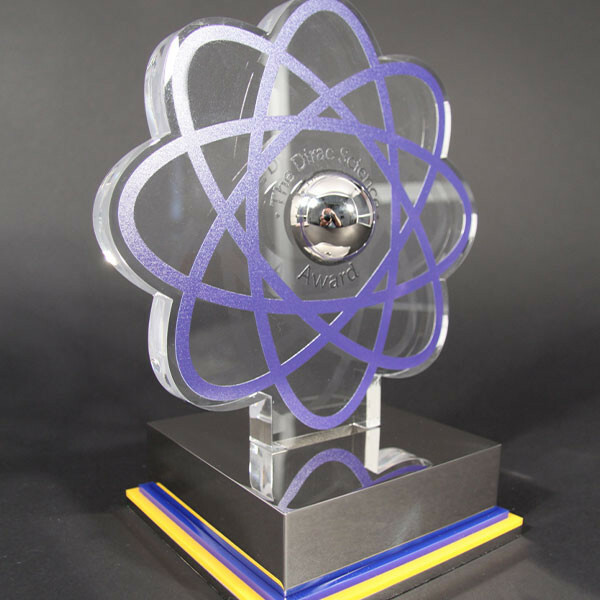 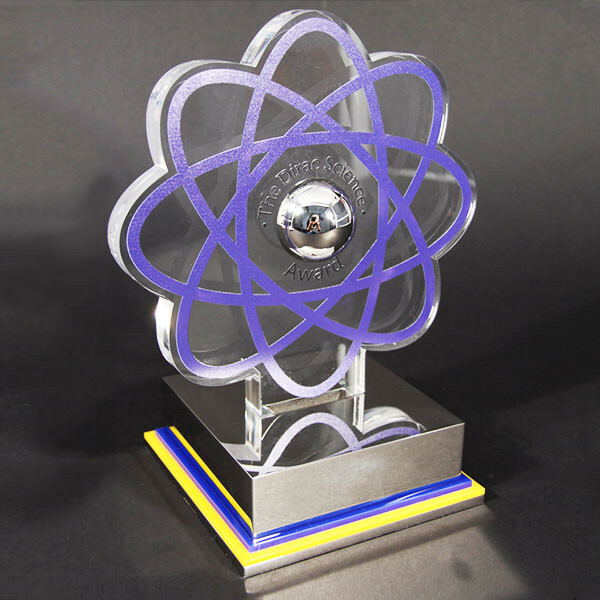 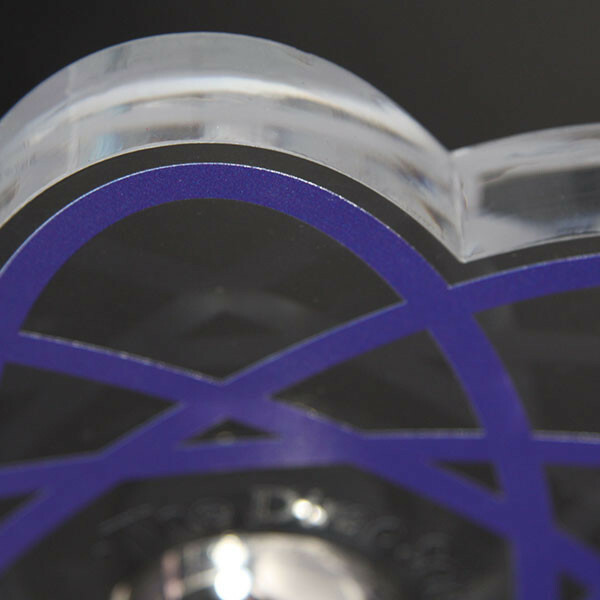 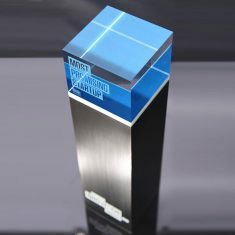 Eye-catching laser cut acrylic award with full colour printed details and machined aluminium ball. 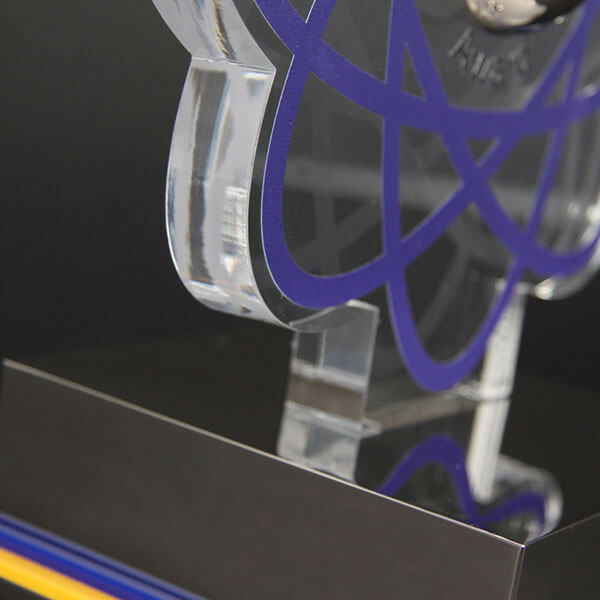 Mounted on a tiered aluminium and acrylic base. 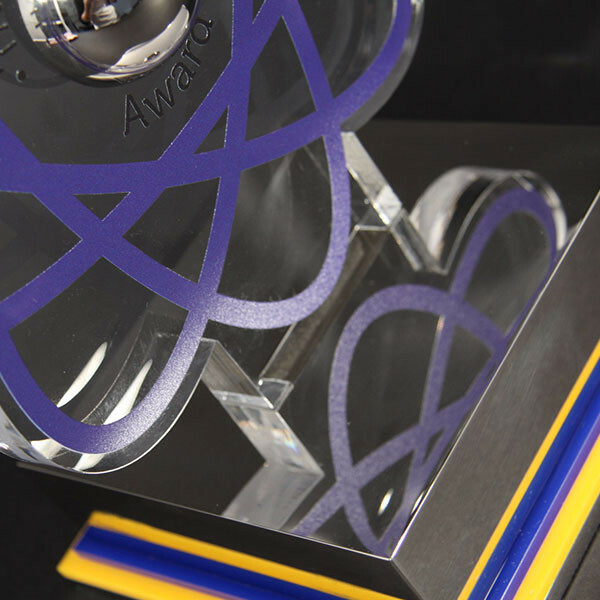 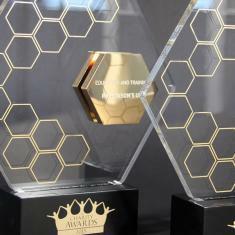 Each award is personalised by laser engraving directly onto a polished magnetic plate fixed to the base.